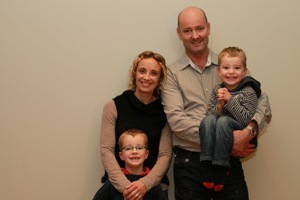 Designers' Collection is a family-owned business passionate about New Zealand design and manufacturing. 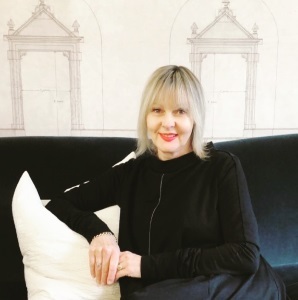 It was established in 1986 by Andi Wheeler and Timmy Pinfold - two leading Auckland Interior Designers who wanted their clients to enjoy quality furniture tailored to their individual lifestyle needs and interior design. Rod and Mary Hanna purchased Designers' Collection in 2003 and have continued to evolve the Designers' Collection range to offer the design trade selection, flexibility, quality and value. Rod has a marketing background, having worked with major New Zealand brands Steinlager, the All Blacks, Tegel, Griffins and Team New Zealand with a focus on product development. Rod always enjoyed product development, whether working with industrial designers on a new bottle shape for Steinlager or food technologists developing the world's first chicken bacon, the challenge of creating aesthetic appeal and functional performance is an exciting one. Combined with a trail of house renovations, Rod now applies his product development background to the pursuit of furniture designs ideal for New Zealand homes and lifestyle. Rod has a passion for New Zealand design and enjoys working with skilled and experienced craftspeople to bring his designs to life. Rod has extended the Designers' Collection range to represent the work of other passionate New Zealand designers. 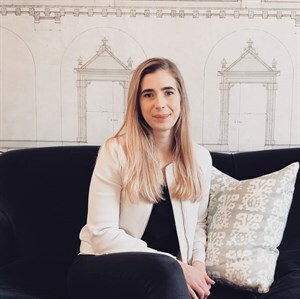 Mary's career in recruitment and training helps keep the Designers' Collection team focused on delivering exceptional customer service and working closely with its interior design and architecural customers to deliver designs that meet their customers' needs. The aim is to be a seamless extension of our customers' design practises, making sourcing tailor-made furniture solutions easy consequentially allowing them to focus on their clients' requirements. In 2015, Designers' Collection embarked on a partnership with D&F and company owner Anna Stewart, and now offers their exquisite range of fabrics and wallcoverings from the following international brands: Agena, Antoine d'Albiousse, Decortex Firenze, Edmond Petit, Equipo DRT, Fortuny, F Schumacher, Gaston y Daniela, Guell Lamadrid, Jason D'Souza, Les Creations de la Maison, Lewis & Wood and Sandberg. Based in the UK and with a love for all things textile-related, Anna keeps us inspired with exciting new releases from Europe and beyond, and ensures our team is up to date with everything pertaining to our much-loved circle of family-owned suppliers. We have an experienced team to support you and your clients selecting products for your projects. 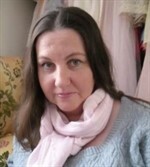 Catriona Lawson has joined us as a full-time Showroom Consultant, and can help with all your furniture and fabric needs. Catriona trained in Interior Design in her Scottish home town of Glasgow. Catriona has a background in furniture retail and has worked for three years in the drapery industry here in Auckland. Toni Keeling has joined our team as a full-time Showroom Consultant and can help with all your furniture and fabric needs. Toni brings with her vast experience in the Interior Design industry from roles with Bauhaus, Design Denmark and the Design Guide. Vai Kasieli is our Logistics Manager, ensuring that customers' orders are delivered on time and to specification. Vai has a background in the Textile Industry having worked for Atelier Textiles in a variety of roles over eight years. We share our trade showroom with SF Design - another 100% New Zealand owned family business. It is dedicated to contemporary New Zealand design and for more than ten years has been supplying distinctive rugs and carpets to discerning interior designers and home owners. Their rugs and carpets are featured in many exclusive homes, hotels and lodges. SF Design rugs and carpets are displayed alongside Designers' Collection furniture in our shared showroom.